First published in 1931. This re-issues the edition of 1972. 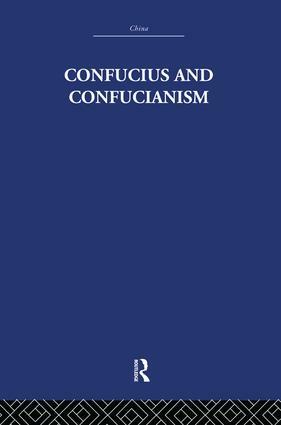 This translation and Wilhelm's invaluable commentaries provide a concise and readable survey of Confucius, the man and his teachings. This volume translates The Life of Confucius from an ancient Chinese text, the Shih Chi, or The Historical Records by Sse-Ma Ch'ien, dating from the turn of the second century B.C.